Water running through a piece of Outdor Patio Cushion foam. Replace your flat patio furniture cushions with new outdoor foam. eFoamstore uses outdoor foam to make new cushions to your size specifications and we’ll help you measure them as well. The open cell structure of outdoor foam allows water to pass through easily. This drainable property is perfect for areas in which cushions may get wet. When replacing seat cushion foam, generally, you will need to add 1” to the cushion width, and 1” to the cushion length. You may also want to add 1” to the depth of the cushion as well. This will ensure that your seat cushions have a domed appearance instead of looking too flat. Best Foam to Use for Seat Cushion Replacement? 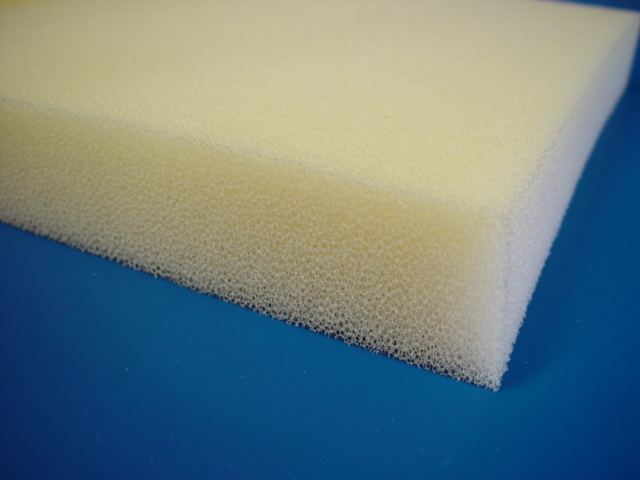 Rectangular foam, which can be rounded at the edge, is recommended for most applications. High density outdoor foam is recommended. Slippers chair, armchair or wingchair. Which fits your space?